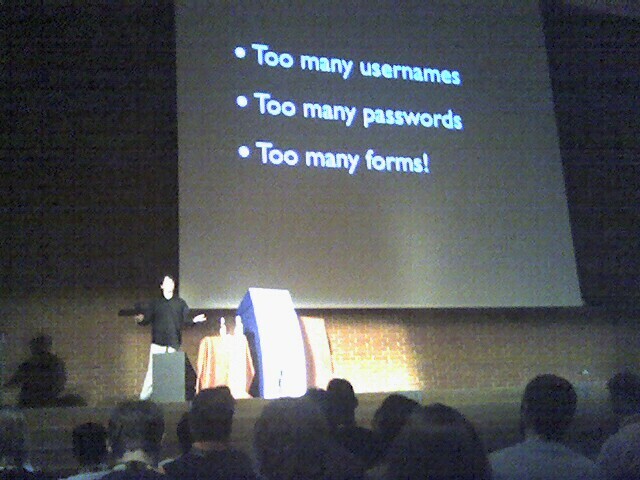 Simon Willison, openID founder evangelist, gave an exciting presentation at the Future of Web Apps yesterday. OpenID is an open source login standard that is getting viral adoption. Simon expressed surprise at the number of services taking openID in the last three weeks; AOL, Symantec and Microsoft. That is a hundred million subscribers just there. Bill Gates' endorsement must be any viral marketers dream influencer. Specially with Bill Gates' strong pro-identity (senderID) work in the anti-spam community. I find the openID whitelisting for spam elimination the most exciting. Finally, a viable mechanism to eliminate email and comment spam. OpenID finally adds one of the key pieces to the online reputation mechanism. This in turn fills a big hole in building communities online. Though long time in coming, electronic buying and selling enters the Online Advertising sector. Just as electronic trading revolutionized financial markets, eliminating middle-men and reducing the buy-sell spread, so electronic trading has finally entered the advertising market. Google braved the way with its electronic bid based buy and selling of pay per click advertising. Now AdECN Exchange has introduced bid based buying and selling of straightforward advertising, page view based advertising. Upto now the market for banner based advertising was illiquid and inefficient. Advertising agencies commandeered a large percentage of the fee, widening the buy-sell spread for publishers and advertisers. Worse, the bulk of the inventory beneath a publisher's home page remained unsold. Now AdECN exchange brings visibility and efficiency into buying and selling page-view inventories; the buy-sell spread will come down from its current 30% to single digit percentages, just as in financial markets. Plus a much larger percentage of unsold inventory will be visible to advertisers. Good news for the markets, not so good for the advertising market intermediaries. Sophisticated advertisers will embrace the new electronic market by adding analytic and technical capabilities to the buying team. Just as investment banks added quantitative and analytic trading PhDs to their investment teams. Electronic trading is already used to buy search based, pay-per-click advertising; extending electronic purchasing into pay-per-view (CPM) advertising should not be a stretch. Laurent Haug, Lift conference organizer, has surpassed himself again. He has crafted a meeting where creativity and ideas flourish like nowhere else. It may be that the presenters and attendees take center stage; may be the new media art present all through the conference; maybe the place and the time for attendees and presenters to talk and mingle; or the quality of the presenters and attendees he attracts. I just know I had some great conversations. 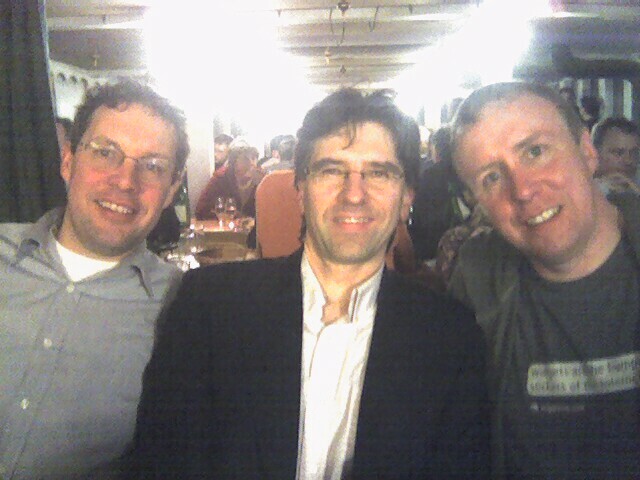 See David Brown and Ivan Pope at the fondue dinner in the picture. David is cofounder and CTO of a top affiliate network in the UK, buy.at. Ivan Pope, founder of netnames plc and Sniperoo widget factory, veteran of a dozen years of online entrepreneurship. 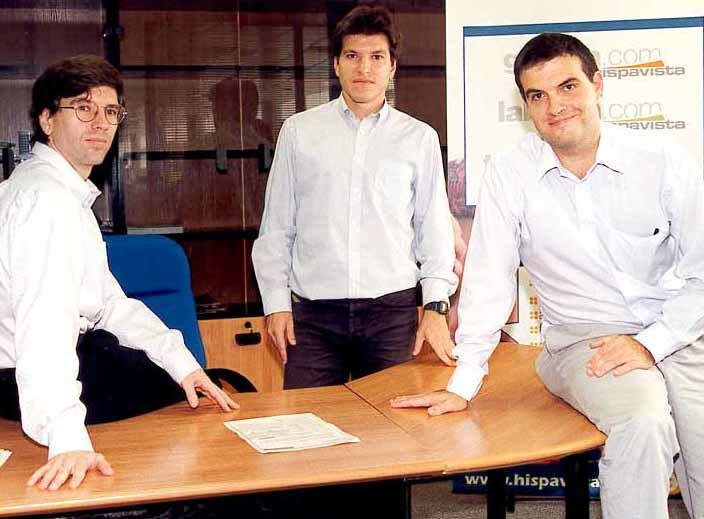 Between them they directly impact tens of millions internet users with what they have created. In hard currency, they have created value in excess of £100 million in todays valuation. I was much humbled. Needless to say, the conversation was excellent; war stories, insight, and laughter. And many other presenters, attendees and conversations, all humbling in their merit. If you need help with your lateral thinking, head over to the next LIFT conference, you will get nothing but great conversations. Great event for affiliate marketers yesterday by affiliates4u team. Four hundred attendees, merchants, affiliates and networks in Holborn, London. Merchants are courting affiliates and their ability to attract targeted user traffic. From Kevin Cornil's buy.at presentation; affiliates sold in excess £ 2000m goods online for a fee of £140m. A year-on-year rise of 60%, taking an alleged 10% of total online advertising spend. Merchants are discovering pay-on-acquisition model. My opinion is that CPA commissions will inevitably rise though, as merchant demand for the model exceeds the volume available through affiliate networks. In the end, buy through ad impressions (CPM), clickthroughs (CPC), and on-purchase-results (CPA) will balance out to give the same value-for-money (ROI). Yes, what a soup of acronyms. The word branding came up in conversations increasingly. Paid-search and affiliate marketing have a secondary benefit in addition to the immediate sale; repeat sales. In fact, the repeat sales experts extraordinaires, the email marketers, were also at the event. It is not just about the sale on clickthrough, it is about the repeat visit. The brand and the loyalty. In fact, one expert from UK Media Ltd, who arbitrages £ 12m in volume, says branding is the next natural step for affiliate web sites.